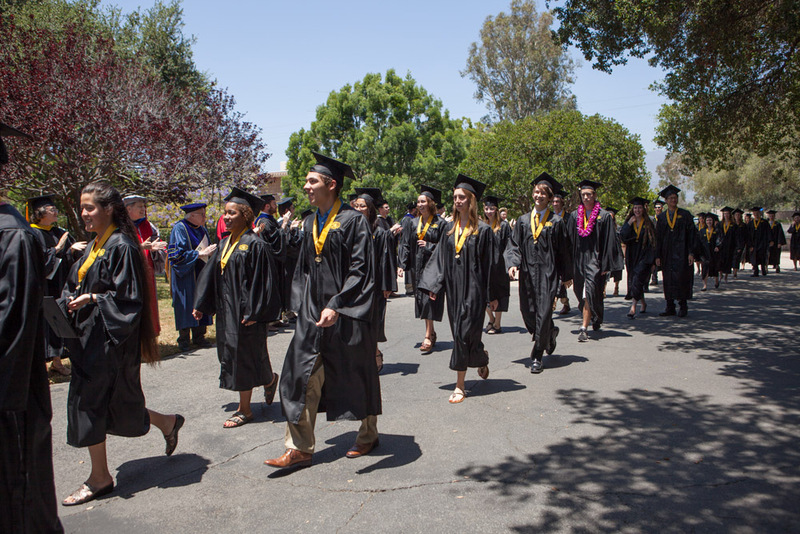 For the first time in its history, Harvey Mudd College awarded more engineering degrees to women than to men at its annual commencement, May 18. Fifty-six percent of students who graduated this spring in engineering were female, and 44 percent were male. The College conferred bachelor of science degrees upon 173 students—88 men and 85 women—at this year’s commencement, the College’s 56th since its founding in 1955. Evolutionary biologist Beth Shapiro gave the commencement address. Shapiro specializes in the genetics of ice age animals and plants. A pioneer in the young field called “ancient DNA,” using DNA sequences extracted from these remains, she hopes to better understand how the distribution and abundance of species changed in response to major climate changes in the past and why some species go extinct while others persist. 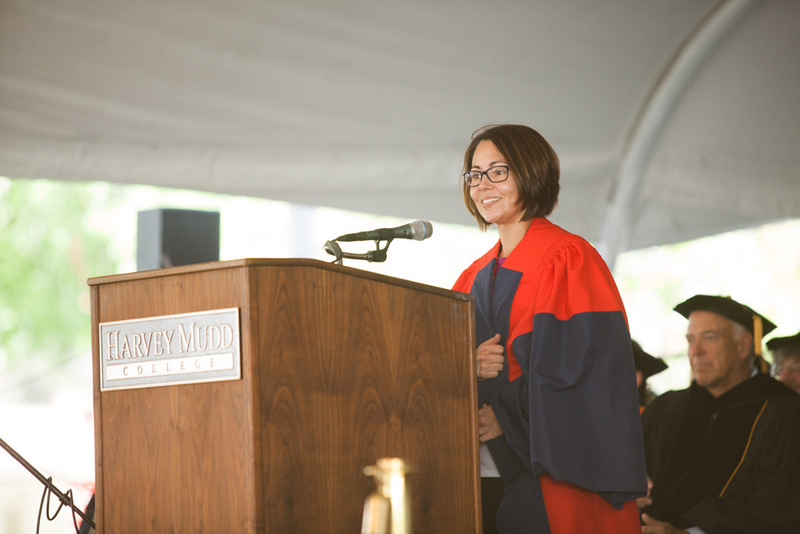 Graduating seniors Miranda Parker and Christian Mason shared the podium for the student keynote speech, joking that their “collaborative” speech was in keeping with Harvey Mudd values. Glen Hastings ’93 welcomed the new graduates into the HMC Alumni Association. President Maria Klawe pointed out that the Class of 2014 was the first to go through the new Core Curriculum, the first to enter with more female students than male and the first to graduate with more female than male engineering majors. Posted in: Diversity, Engineering, President, Students.